They have a new proposal to produce 7,500 units of a co-branded Easter treat. Fund their second offer & earn. Paid back in full on 14 Mar 18 1 day early!!! 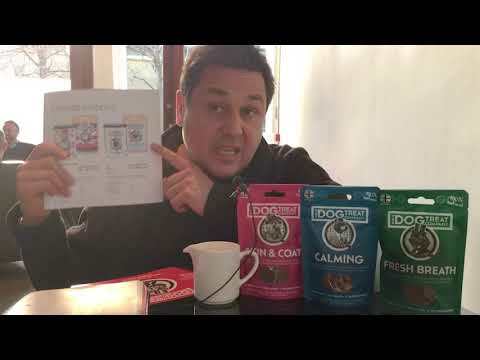 Last September PrimeStox investors met the The Dog Treat Company and saw how they love to make special editions of their treats. You helped them raise £8,050. That offer was successful and they repaid on time. Now The Dog Treat Company is back to raise funds for the production of 7,500 packs of a new Easter edition, co-branded with their client. To do this they would like to raise £10,500. The company expects to be able to pay back in just 3 months, plus a profit of 3.6%. That's an annual rate of 15%. You'll also become a friend of the brand. The Dog Treat Co is Back successfully raised £10,500 to fund the production of 7,500 packs 493 days ago. Check back soon for more offers. Joe Halliwell and his wife and sister founded The Dog Treat Company three years ago in their home. They quickly outgrew their kitchen and moved to a 7,500 square foot purpose-built bakery in South Devon at the base of Dartmoor National Park. Joe and his wife were inspired to create Dog Treats by their love for their own pets and by a search for healthy treats for their own golden retriever. The company sources locally wherever possible. Flour used is purchased from a Cotswolds miller. Herbs are sourced from an Exeter spice merchant. The Dog Treat Company are about to embark on a new project. They have been asked to create a new treat which is co-branded with their customer, in the customer's own language. This will involve design and development as well as manufacturing. The company's typical sales run rate is 15,000 units per week of their regular products. Now they are raising £10,500 to pay for the production of 7,500 packs of special edition Easter Dog Treats. That's £1.40/pack. Investors will own them until they are sold. The treats will be made and delivered in February and The Dog Treat Company will be paid on delivery. This means the company expects to repay its investors in 3 months, plus 3.6% profit. An annual equivalent rate of 15%!